Homes are at their best when in a state of organized calm. We were charged with gently re-imagining a brand with solid industry and consumer recognition. Our solution focused on taking the pure utility of of the mix and adding some much needed warmth and a sense of space & harmony. From there we developed a packaging system that would take into account hundreds of physical size and usage options. Trilingual face panels benefitted from a typographical review, to work in concert with the soft images and clear product cues. 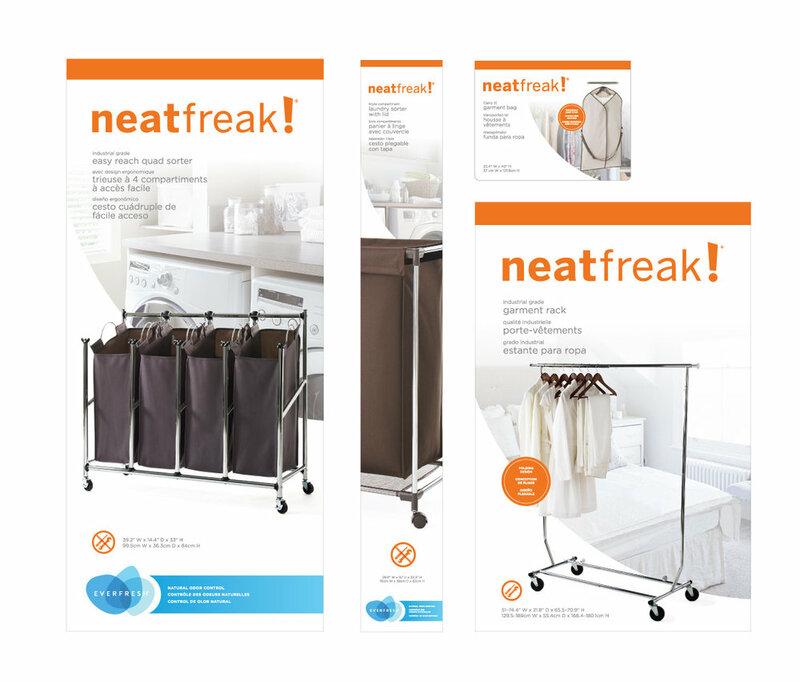 The Neatfreak logo vs. mark relationship was refined without sacrificing brand recognition, resulting in a harmonized brand refresh.